With Facebook users reaching into millions in Nigeria alone and billions World Wide, making money on Facebook is not a joke.. is Real, no doubt Facebook is one of the best places to connect with people all over the world. The social networking giant used exclusively for connecting with friends and family has outgrown but are now being used as a very viable advertising platform by individuals and businesses alike. The idea here is that you get to help businesses and companies promote their products or services on Facebook and you get paid by commission for every purchase made through your affiliate link. or you could just join affiliate marketing websites such as ShareASale, Amazon, JVZoo, Jumia Affiliate and others. Also, you must have a good number of followers before you can Make Money On Facebook In Nigeria using affiliate marketing program. Invite your friends to like your page, ask them to invite their friends too. When creating your page, you must make sure you choose a name which has a direct bearing on the niche, and content you will be posting. So you should always be on the part of growing your page followers, as you start promoting and selling your products or other people products on your page. If you have eBooks to market, here is a great avenue to get started selling all your product. Things that give your followers some value and keep them engaged. As you gather as many followers, and once you have as many as 5,000 followers, you would start getting advertising applications from advertisers to promote their brand on your page, which you will be paid. You can even sell other people products on your Facebook Wall and Pages. -Tell your followers on Facebook about your products or other people’s products and services. Do you have any latest products, deals or promotions? Go ahead, let the word out to your followers on Facebook, but be sure you are not too pushy; you do not want to make them think you are only obsessed with selling your products. If you want to be making money on Facebook, you must be on the lookout for various opportunities you could take advantage of. Those trending hashtags on Facebook, you could take advantage of them and tactfully relate them to your product or services. By driving traffic to your blog or website. Remember, if you already have followers on your Facebook page, all you need do is to keep posting links to your website or blog articles on your Facebook page. The more visitors are coming to your blog or website, the more money you make. I believe you already know how to monetize your blog. If you do not, Google Adsense is a great one to start by. Find out more on that. If you do not have a blog, you could create one, or you could make contacts with bloggers and make offers for helping them drive visitors to their site. A sponsored post is ad service is quite popular among Facebook users, and chances are you probably have heard about it too. How does this service work? This service provides you with the opportunity of re-posting advertisers’ messages and being paid in return. To make real money from this service, you need to have followers, say a few thousand in other to Making Money On Facebook. 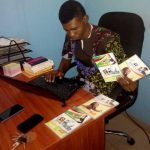 These are just but a few ways of Making Money On Facebook In Nigeria, as there are so many ways of making money from Facebook right here in Nigeria. 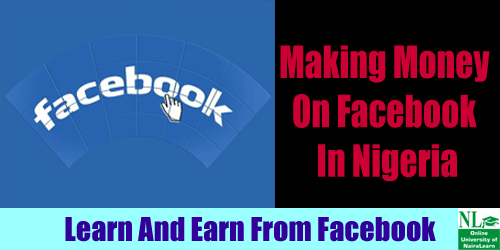 5 responses on "Making Money On Facebook In Nigeria"